Registration is Closed for August 2015 Intensive! In the 4-Day Intensive you will Learn How to Break Through the Barriers that Limit You and Keep You Stuck. Eliminate the Struggle, Self-Sabotage & Relationship Conflicts and Financial Limitation So You’re Clear on Your Purpose and life flows with ease. 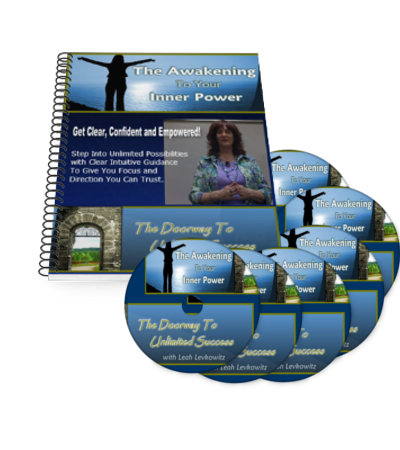 You will Learn and Utilize Soul Empowerment Healing 5-step method for yourself and others to clear unconscious blocks and Empower one’s Soul to Divinely Guided Success. We will go into depth covering Relationships, Abundance, Self-Confidence, Health and Well-Being, Spiritual Growth, Life Purpose and more. There are numerous healing modalities to help us overcome life’s challenges, achieve our goals and fulfill our potential, many that I have learned and practiced. What makes Soul Empowerment Healing (SEH) unique and powerful is that it incorporates the four levels of awareness; body, mind, emotions and soul, to heal on all levels. It uses your intuition to access the wisdom not available consciously in the mind. SEH is designed to discover understanding behind the limiting beliefs learned from one’s personality, to eliminate the conflict and support empowered growth from the Soul. It will accelerate the global transformation that humanity is going through at this time. 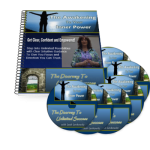 Learn Soul Empowerment Healing to use for yourself and others to Reveal and Shift any obstacle or conflict. Learn how to use SEH in every area: Relationships, Self-Confidence, Prosperity, Spiritual Growth, Life Purpose, Physical and Emotional Well-Being. Give and Receive Soul Empowerment Healing creating Immediate Shifts. Receive scripts to Guide you, Lists in each area of Limiting Beliefs causing the conflict and New Empowered Beliefs to Shift and Heal one’s life. Learn how to heal on all four levels of awareness; body, mind, emotions and soul. I searched for years doing many different things to be fulfilled expressing my abilities prosperously. It wasn’t until I was 50 that I finally reached out and cried to God asking to have a direct connection and communication with him to be guided to fulfill my soul’s purpose. From that transformational day in my life everything changed. The universe brought in teachers and guidance to show me how to channel and communicate with God, my spirit guides and spirit teachers to receive all the answers and guidance that I needed and desired, as well as, to help me to clear all of my self-imposed limiting beliefs and step into my true power of my soul. Part of that guidance was learning the business and marketing strategies aligned with being a spirit driven entrepreneur to be successful. I now am doing exactly what I’m here to do and clear on my purpose. I have moved so far beyond where I was and what I thought I was supposed to be doing. I went through all of this in the way I did to empower and guide you. No matter where you are now in your life if you want to be divinely guided and supported to accelerate your own growth and others to make a huge impact in the world then I hope you’ll join me. IMAGINE being with others who understand and get you. IMAGINE being appreciated and valued for your gifts and who you are. IMAGINE how you will be able to make a difference in others lives. Get ready to clear lifetimes of beliefs creating pain and suffering and step into the Power of your Soul! You can choose to work with me one-on-one OR you can attend the Soul Empowerment Healing 4-Day Intensive and learn how to do them for Yourself and Others. Get started Now to Access your Psychic Abilities and Connect to Your Spirit Team for Answers and Guidance to be Clear, Confident and Empowered.